Today we review Nature’s Way White Kidney Bean. This Phase 2 Carb Blocker inhibits the breakdown of complex carbohydrates in your digestive system. These carbs, when digested, turn into glucose which is stored as fat in the body. By stopping some of this digestion, this dietary supplement can help you lose unwanted belly fat! This supplement also comes in a vegetarian capsule, with no added sugar, wheat, or other fillers! What’s in Nature’s Way White Kidney Bean? Sodium – It is unclear to us, through our research what effect the sodium has in this supplement. 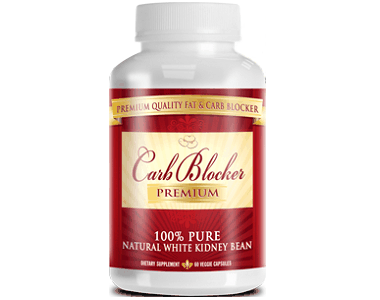 White Kidney Bean Extract – This extract has been shown to block the breakdown of complex carbohydrates within the body. 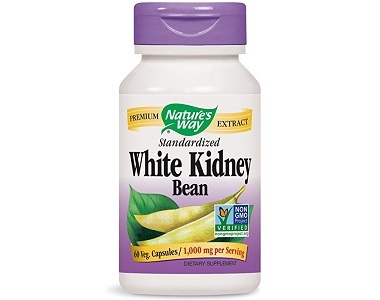 How Do You Use Nature’s Way White Kidney Bean? The manufacturer states that one dose is 2 capsules of this supplement. Each dose should be taken with at least 8 ounces of water. Everyday, you should take two doses, both before a meal. If you are pregnant, nursing, or taking any other medications or supplements, you should consult with a healthcare professional before starting this supplement. Each capsule contains 1,000 mg of extract, so taking 4 capsules per day gives you a total daily intake of 4,000 mg. This is a much higher dose than other carb blocking supplements that we have seen. To date, there is no evidence that increasing the dose of white kidney bean extract will actually help block the digestion of carbohydrates in your body. Each bottle of this supplement contains 60 capsules, which is only enough for 15 days worth of the daily dose. Unfortunately, this item is not available for purchase direct through the manufacturer. We were able to find prices on various third party websites that range from $9.24 to $11.23. One third party seller does have a sale on supplements, offering this extract on a buy one, get one half off sale. Unfortunately, we were unable to find any kind of a manufacturer’s guarantee or refund policy offered by the manufacturer. Should you buy this supplement from one of the third party sellers,you will be subject to whatever refund policy that specific seller has. There is no guarantee that you will be able to try this product and receive a refund, should it leave you unsatisfied. There are a few things we liked about Nature’s Way White Kidney Bean. First off, this supplement comes in a vegetarian capsule, making it available to more people. Also, there are no dyes, chemicals, or other fillers in this supplement. Unfortunately, there are many things that raised concerns for us regarding this product. 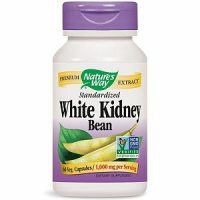 There is a much higher dose of white kidney bean extract than in other supplements we have seen. The daily dose is also higher, which then drives the overall cost of this supplement up. Lastly, because this supplement is only available through third party sellers, there was no money back guarantee or refund policy listed on the manufacturer’s website. For these reasons, we cannot recommend this supplement to help with Carb Blocking and to lose weight.